For those who like listening online music such as Youtube or Spotify, you might want to record one of those songs to your computer now and then. There are so many software available in the market to download Streaming media. 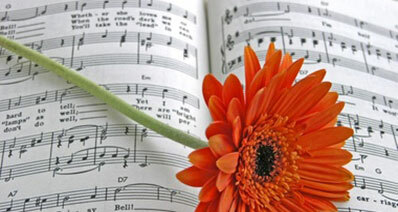 We have made an effort in find out some of the best and most popular audio recording applications in this article. 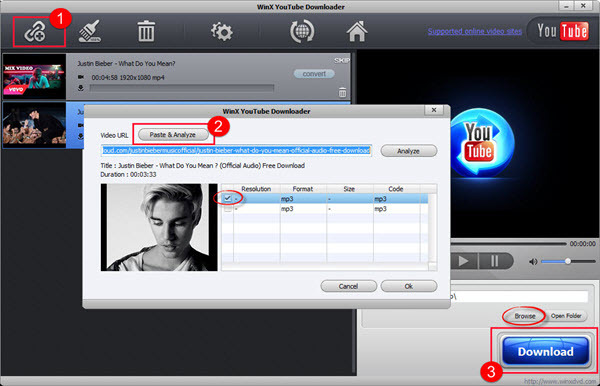 Today we will introduce top 4 downloader alternatives: the music downloader & recorder iMusic , Streaming Audio Recorder, Free Sound Recorder, as well as good old Streamosaur. All of these programs do very well in recording the steaming media, such as YouTube, Spotify and so on. 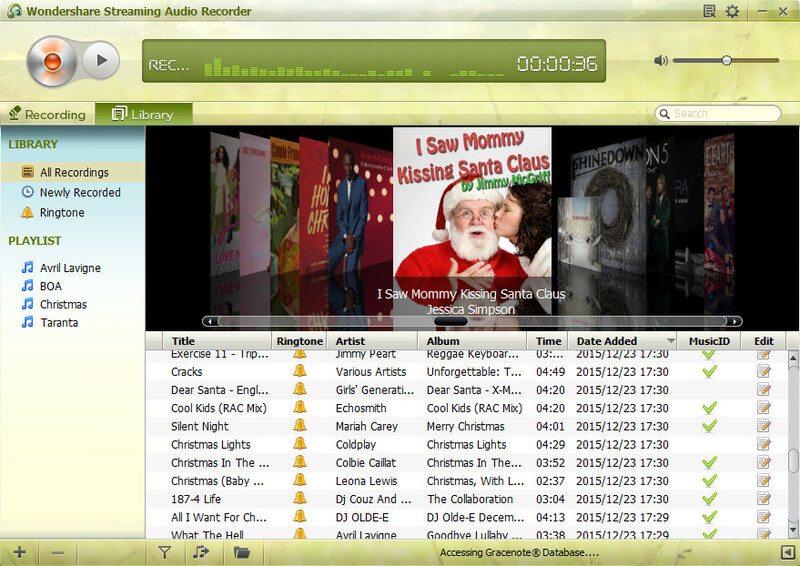 Streaming Audio Recorder gives you the ability to record online audio content. 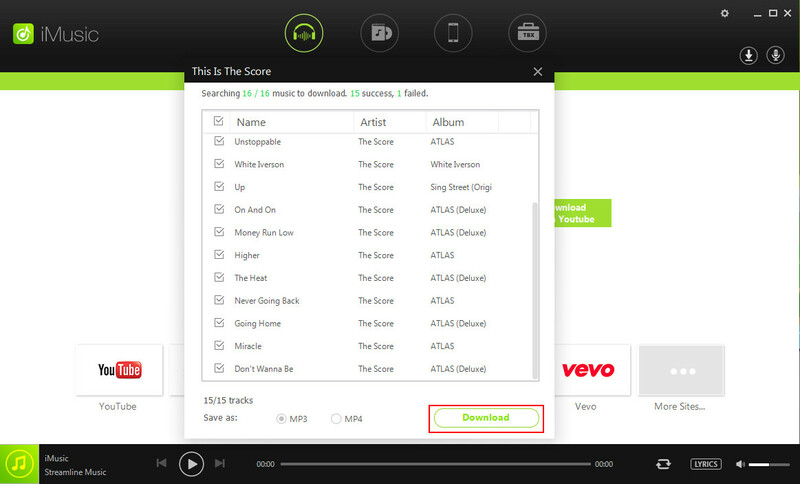 And it also supports song and artist identification, and you don't need worry about the trouble of the editing. The program is not free but it does give you a 7 day trial period without any restrictions, which is more than enough time for you to decide. Once you record your content you can review it in the embedded player, create ringtones and customize them, which you can upload to your iTunes library later and synchronize to your idevices. The program supports only 2 types of format MP3 and MP4, but you can ajdust the recording settings as well . However, it will takes the $19 price tag, but we feel free to say that you get as much as you paid for and maybe even more. This software is followed by a set of video tutorials in order for you to get started. It is also available for the Mac as well. Only supports 2 audio formats. 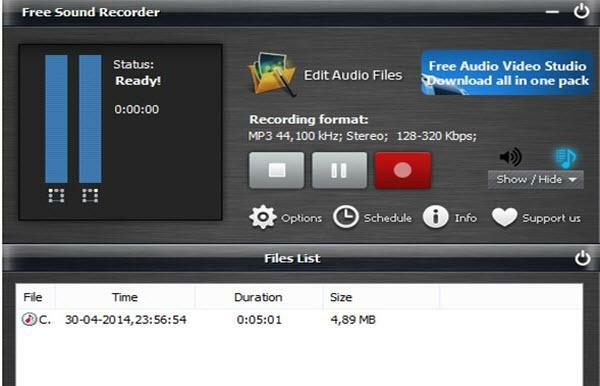 Free sound recorder is a completely free up, which supports various formats, such as MP3, OGG, WMA and WAV. The UI is pretty, as well as configuration of bit rate and quality of recorded content. It doesn't have its own player. However it supports Voice activation and can make schedules which will remind of us. There is also a feature where you can customize your hot keys. Voice activation, Schedule, and free. 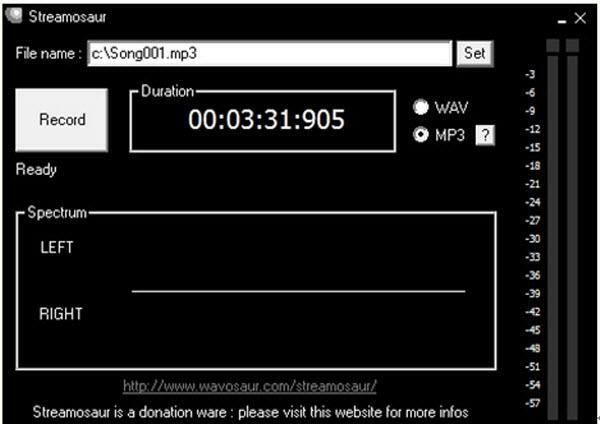 Streamosaur is the most basic piece of recording software you can find on the internet. It has almost nothing what previous recorders have but support for 2 formats : MP3 and WAV. No Voice Activation, no Scheduling Tasks, no tweaks when it comes to improving quality of the material you are about to record. Steamosaur starts recording after you push the button and that's about it. However, people who are not interested in other advanced features might give this player a pass, since it doesn't require any installation. As for our final thoughts, we believe that the chart is pretty self explanatory. 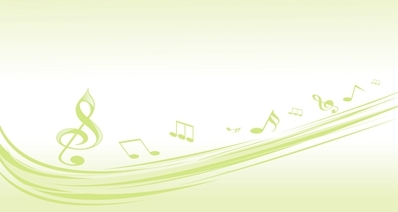 When it comes to free software Free Sound and Streamosaur are almost the same. Free Sound’s UI is somewhat more easier to navigate than Streamosaur’s is. On the other hand, software Free Sound supports more formats which might be the turning point for some users. Streamosaur is a dying breed in this race. provides the most features compared to all of the apps on our test. The price tag is pretty reasonable and it provides more than you initially bargained for. Apowersoft costs too much (twice as more than Wondershare) but it doesn't support all of the features. What's more, it can record in FLAC format.